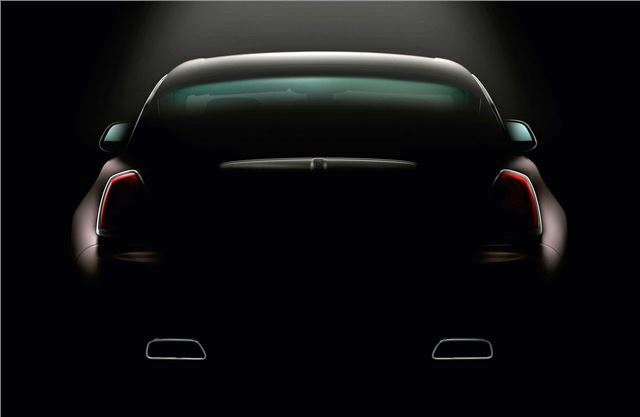 This subtle image shows the silhouette of the latest Rolls-Royce, called the Wraith. Rolls-Royce is keeping tight-lipped about the new car, which it will unveil at the 2013 Geneva Motor Show. The Goodwood based marque has hinted that the Wraith will be its most powerful and dynamic model yet and is promising the boldest design in the company’s 108 year history. The profile shot shows a sleeker roofline and coupe doors – a bit like a Bentley Continental GT. Rolls Royce plans to release more images before the car gets its official debut at the Geneva Motor Show in March 2013.